Fantasyland is everything you think about when you think about Walt Disney World. Rides, restaurants, characters, and unforgettable experiences combine to make this one of the favorite spots in not only Magic Kingdom, but throughout the entire Walt Disney World Resort. Dining - In Fantasyland, you'll find many places to grab a meal or a snack as you pass through the park. Two of the newer places to check out are Be Our Guest Restaurant and Gaston's Tavern. Be Our Guest is a unique dining experience. For breakfast and lunch, reservations are definitely required, but the meal is quick service. You can pre-order your meal before arriving in the park for an even faster dining experience. 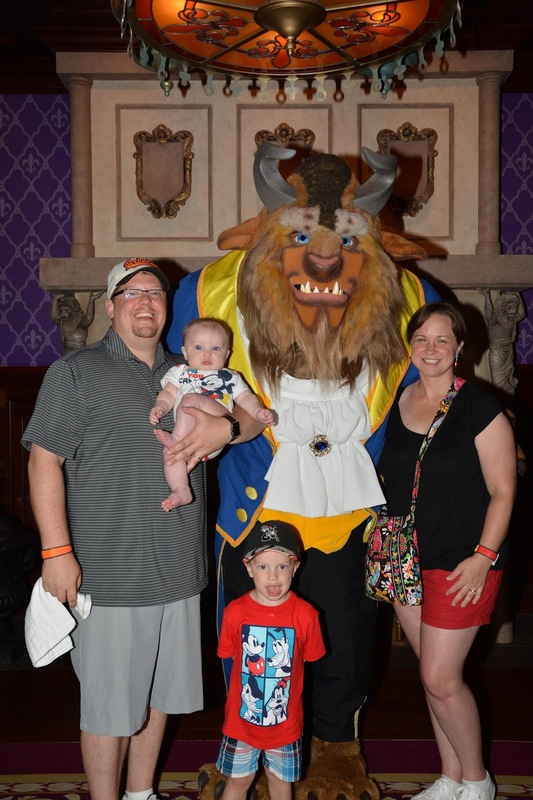 Dinner features table service fare and even a visit from the Beast himself. For more information on this restaurant, check out my breakfast, lunch, and dinner reviews. If you can't grab a reservation for Be Our Guest, swing into Gaston's Tavern where you can grab a quick bite on the go. You don't want to miss out on tasting some of LeFou's Brew either while there! The other extremely popular dining reservation here is Cinderella's Royal Table. Regardless of whether or not you have kids, a meal inside Cinderella Castle with some of the most popular Disney princesses is a must do on everyone's Disney bucket list. Rides - Some of the most popular rides throughout all of Walt Disney World can be found here in Fantasyland. Classic attractions like Peter Pan's Flight, It's a Small World, and Dumbo combine with new favorites such as Seven Dwarf's Mine Train and Under the Sea - Journey of the Little Mermaid to provide literally hours of ride entertainment in this one small section of the park. 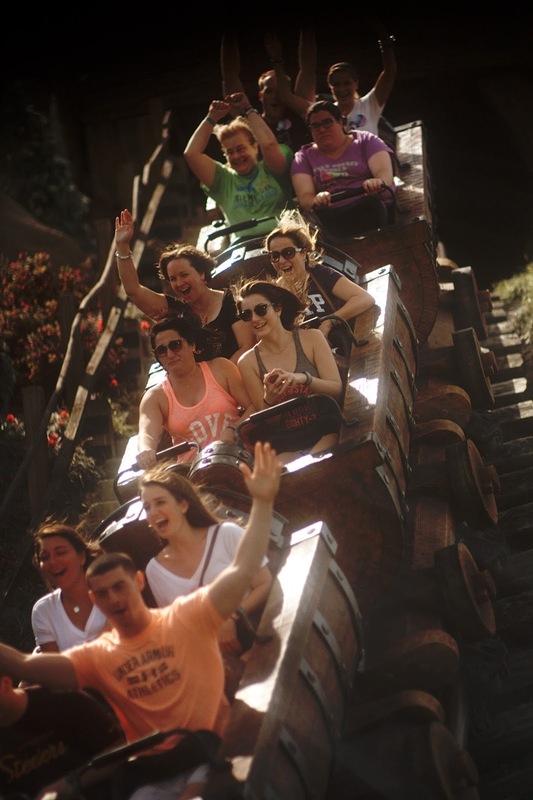 Most of the rides here are accessible to even the tiniest of travelers meaning that everyone can join in on the fun. If you want to ride Peter Pan's Flight and Seven Dwarf's Mine Train, I would strongly recommend a FastPass as these often have waits exceeding 60 minutes. Characters and Entertainment - If you want to meet characters, Fantasyland is the place to be. There are several character greetings here that even make use of the FastPass+ system. Inside of Princess Fairytale Hall there are two separate greetings - one for Cinderella and Rapunzel and the other for Anna and Elsa. I've seen the Anna and Elsa wait time be as long as 200 minutes so this is definitely a great use of a FastPass reservation if you want to meet these two Frozen royals. Ariel is also available for a meet and greet at her Grotto next to the Under the Sea ride. You can also catch up with Goofy, Donald, Daisy, and Minnie at Pete's Silly Sideshow for autographs and pictures. Throughout the day, you may also find the Fairy Godmother, Cinderella's Stepsisters, Alice, Gaston, Winnie the Pooh, and others available around this part of the park. And if you're looking to escape the heat and enjoy some entertainment, step into Mickey's PhilharMagic or visit Enchanted Tales with Belle. 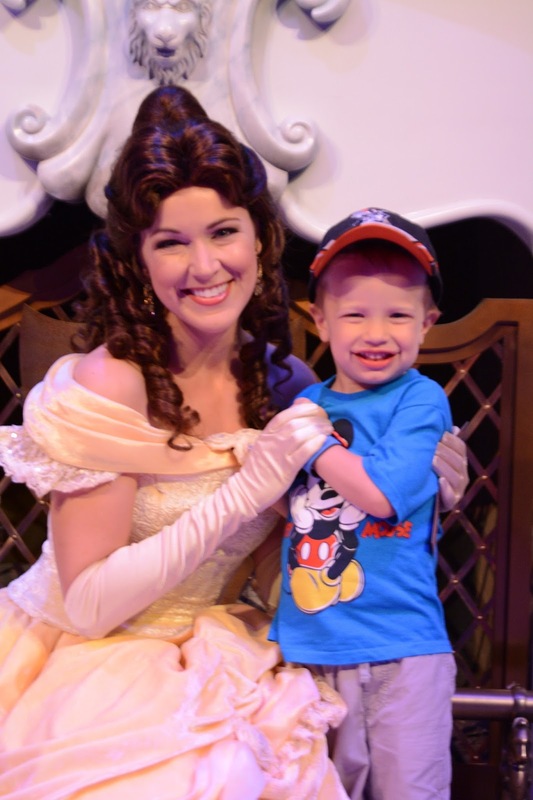 Both provide a great experience for kids and adults alike and, if you choose to visit Enchanted Tales, you even get to meet Belle at the end and get a photo with her! With so much to see and do in Fantasyland, we easily spend HOURS here on each Disney trip. This is truly where magic comes to life for kids and adults!